Maxx Mobiles has launched a new cheapest priced Dual SIM touchscreen mobile phone Maxx Zippy MT105 in telecommunication world. This colorful and compact phone MAXX ZIPPY MT105 integrated with an array of multimedia features like digital camera, FM Radio, audio player and video player. 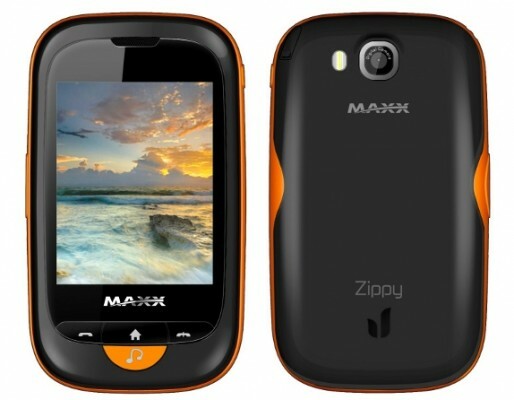 Maxx Zippy MT105 support a 2.4 inch TFT touchscreen display and memory wise feature is upto 8GB external memory. Maxx Zippy MT105 also support Bluetooth, WAP/GPRS, USB mass storage. MAXX ZIPPY MT105 now available at just Rs. 2599/-. Buy it now.